Este mapa interactivo del desarrollo del expansionismo continental estadounidense, examina la adquisisicón de territorios a través de los tratados y órdenes ejecutivas relacionadas con las llamadas naciones indias. En otras palabras, ilustra el proceso de despojo de las tierras de los pobladores norteamericanos originales por parte del gobierno federal norteamericano entre 1776 y 1876. También contiene vínculos a los textos de los tratados en cuestión y un video, los que podrían resultar herramientas muy útiles para educadores. El mapa esta accesible aquí. The legend of Lewis and Clark is today so deeply ingrained in our national memory, as the predecessors to the age of Davy Crockett and his wild frontier and to dying of dysentery on the Oregon Trail, that it’s difficult to imagine a student of history not knowing about their historic journey. But our modern image of Lewis and Clark—exalted heroes of American exploration—is a fairly recent phenomenon. For nearly 150 years after their expedition, the nation almost forgot about Meriwether Lewis and William Clark completely. Lewis and Clark were sent on their journey by President Thomas Jefferson, a man whose reputation spanned more than being the author of the Declaration of Independence: he was also a scholar of philosophy, language, science and innovation—interests that fueled his desire to learn more about the country in his charge. Jefferson had long dreamed of sending an expedition to the West—an idea that began, for him, around the end of the Revolutionary War. He attempted to send explorers West, across the Mississippi and Missouri Rivers, but none of these expeditions (one of which included George Roger Clark, William Clark’s brother) came to fruition. Nonetheless, by the time he became president, Jefferson had amassed one of the largest libraries concerning the American West at his Monticello estate. Many of these books focused on North American geography, from The American Atlas: or, A Geographical Description of the Whole Continent of America by Thomas Jefferys to The Great or American Voyages by Theodor de Bry. All told, Jefferson had over 180 titles in his library on the subject of North American geography. But the geography of the West turned out to be nothing like the geography of the East, and Lewis and Clark returned in September of 1806 without finding Jefferson’s prized route. The mission—for these intents and purposes—was a failure. But Jefferson moved quickly to make sure that it wasn’t viewed as such by the general public. “What Jefferson did, very creatively, was to shift the meaning of the expedition away from the passage to the questions about science, about knowledge,” Ronda explains. This was to be accomplished through Lewis’ writings about the expedition, which were to be published in three volumes. But Lewis, for some reason, couldn’t bring himself to write. At the time of Lewis’ death, he hadn’t managed to compose a single word of the volumes—and public interest in the expedition was quickly fading. Clark took the information gathered on the expedition and gave it to Nicholas Biddle, who eventually penned a report of the expedition in 1814. A mere 1,417 sets were published—essentially nothing, Ronda notes. By the time Biddle’s report was published, the country’s attention had shifted to the War of 1812. In that war, they found a new hero: Andrew Jackson. Lewis and Clark sank further into obscurity, eventually replaced by John Charles Fremont, who explored much of the West (including what is now California and Oregon) throughout the 1840s and ’50s, and ran for president in 1856. Materials that spoke to Lewis and Clark’s accomplishments simply didn’t exist, and the most useful resource of all—the expedition’s original journals—were tucked away at the American Philosophical Society in Philadelphia. It’s possible that, at that time, nobody even knew the journals existed. In American history books written for the country’s centennial in 1876, Lewis and Clark have all but disappeared from the narrative. Scholarly interest in the expedition begins to increase near the end of the 1890s, when Elliot Coues, a naturalist and army officer who knew about Lewis and Clark, used the expedition’s only journals to create an annotated version of Biddle’s 1814 report. At the beginning of the 20th century, with the expedition’s centennial celebration in Portland, Oregon, public interest in Lewis and Clark begins to grow. “Now Lewis and Clark are beginning to reappear, but they’re beginning to reappear as heroes,” Ronda says. In 1904 and 1905, Reuben G. Thwaites, one of the most distinguished historical writers of his time, decided to publish a full edition of the Lewis and Clark journals on the occasion of the centennial celebration of their trip. He thought that if more information was available about the expedition, public interest in the figures would increase. He was wrong. “It’s like dropping a stone in a pond and there are no ripples. Nothing happens,” Ronda explains. Americans—historians and the public—weren’t very interested in Lewis and Clark because they were still focused on understanding the Civil War. In the 1940s, Bernard DeVoto, another distinguished literary figure and historian, tried to do what Thwaites couldn’t, by publishing the Pulitzer Prize-winning book Course of Empire. Again, no one read it—the public was overwhelmed by World War II instead. It wasn’t until the 1960s that the public and scholarly spheres connected to make Lewis and Clark the American icons they are today. In the academic world, the work of Donald Jackson changed the way the Lewis and Clark narrative was told. 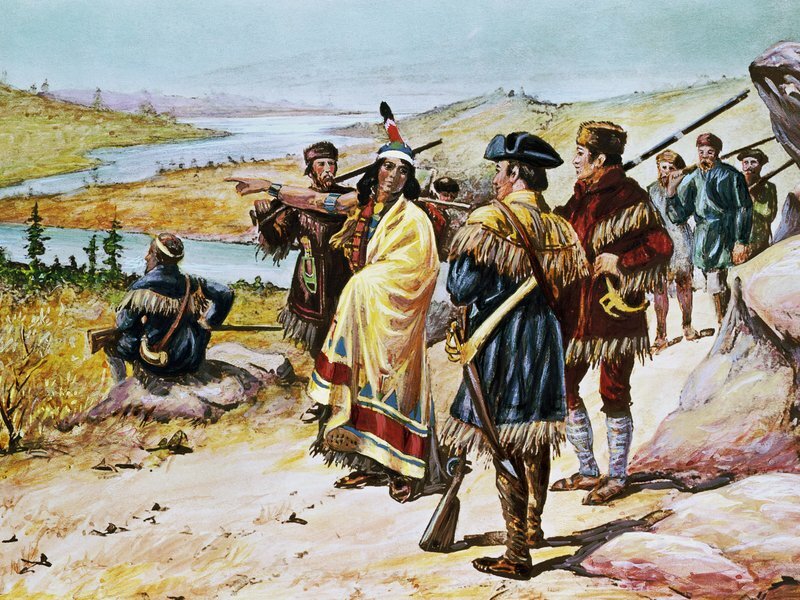 In the 1962 edition of the Lewis and Clark letters, Jackson wrote in his introduction that the Lewis and Clark expedition was more than the story of two men—it was the story of many people and cultures. Two events helped pique public interest in the Lewis and Clark story: the marking of the Western Trails by the federal government, which brought new attention to the country’s history of Western exploration, and the founding of the Lewis and Clark Trail Heritage Foundation in 1969, whose stated mission is to honor and preserve the legacy of Lewis and Clark through education, research and preservation. “The 1960s were a tumultuous time. It was also a time of intense introspection about who we are as a people. One of those moments of introspection is wondering what is our history like?” Ronda explains. In 1996, American historian Stephen Ambrose released Undaunted Courage, a nearly 600-page-long history of the expedition. The book was a New York Times #1 best-seller, and won both the Spur Award for Best Nonfiction Historical and the Ambassador Book Award for American Studies. Taking advantage of the wealth of new research uncovered by Lewis and Clark historians (especially Donald Jackson) since the 1960s, Ambrose’s book was called a “a swiftly moving, full-dress treatment of the expedition” in its New York Times review (ironically, the same review touts Lewis and Clark as explorers who “for almost 200 years…have stood among the first ranks in the pantheon of American heroes”). The following year, Lewis and Clark’s expedition was brought to life by the famed film maker Ken Burns in his four-hour PBS documentary Lewis & Clark: The Journey of the Corps of Discovery. H-Diplo Review Essay on Michael Scott Van Wagenen. 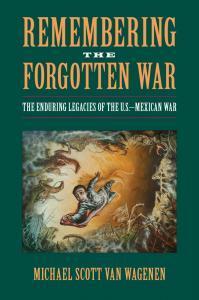 Remembering the Forgotten War: The Enduring Legacies of the U.S.–Mexican War. Amherst and Boston: University of Massachusetts Press, 2012. 330 pp., 30 b&w illus. ISBN 978-1-55849-930-0. The fact that there are distinct differences in the way that citizens of the United States and Mexico recall the conflict between their two countries has long been a sort of elephant in the room. Observers seem eager to point out that it is there but rarely appear motivated to explain how it managed to squeeze through the doorway. Over the past thirty years, it has become a tradition for authors to point out that Americans “generally give scant attention to the sordid but successful adventure” 1 that transferred half of Mexico’s territory to the United States while at the same time noting that “the bitterness of the loss has not been erased from Mexican memory.”2 The cause of this divergence is generally left unstated, though readers are frequently left with the vague impressions that Mexicans have nurtured a grudge for decades and Americans have simply elected to sweep an unseemly chapter in their history under the rug. Michael Van Wagenen has dared to venture into this room and finally asks how the elephant got there. He reviews more than 160 years of United States and Mexican history and a diversity of source materials in an effort to determine how memories of that war have evolved since 1846 and the implications of those recollections for each nation and in terms of the relations between the countries. He reveals two very different approaches to memory. Mexico carefully crafted an official memory of the conflict, not as an expression of anger against the United States, but as part of an effort to set aside the shame of defeat and create national unity and support of the central state. At the heart of this effort the “Niños Heroes”—six young military cadets who died in defense of their country— evolved into martyrs who “inspired pride in the indomitable Mexican spirit and forwarded …domestic and international goals” (138). By contrast, recollection of the war in the United States has always been a much more diffuse enterprise, with communities and individuals taking the lead in devising memorials and monuments to local heroes or connections. Many of the initial efforts to mark the war were swept away by the Civil War, which had a much larger and more direct impact on American lives. Many Mexican War veterans also served the Confederacy, and when the Union was restored, there was little effort to honor the men who had later turned against their country. By the twentieth century, only a few staunch descendants of the players in the grand drama of 1846-1848 continued to develop monuments and memorials, often to glorify themselves at the exclusion of others. The author finds pitfalls in both routes to memory. In the United States, where the federal government has generally avoided the memory-making business, heritage groups and Chicano groups often find themselves at odds over interpretations of the war while the mass of population cares little at all. In Mexico, the effort to establish an official memory has been equally problematic. Efforts to wean generations of citizens on the legend of the Niños Heroes, for example, have occasionally backfired, with protesters co-opting the story to justify resistance to the government and its policies. The mythology of the Boy Heroes also occasionally conflicts with relations with the United States. In one of the more interesting themes of the book Van Wagenen describes how the Mexican government has struggled, occasionally in vain, to use the war to promote nationalist rather than anti-Yanqui sentiment. Likewise he recounts the complex dance that U.S. officials must undertake in order to respond to Mexico’s memory of the war and the complex array of memories on the home front. The book delves into broad array of topics from U.S. town names and the Mexican national anthem in the nineteenth century to efforts to develop bi-national cooperation on documentaries and historic sites in the late twentieth century. Other topics include veteran’s pensions, Santa Anna’s captured leg, living history programs and battle reenactments, and even films about deserters and cannibalism. The reader comes away with a clear impression that the war has never been forgotten at all, but molded, misinterpreted, and distorted to serve many different ideologies and causes. Mexican War from television programs like Davy Crockett and The Simpsons. Unfortunately he does not delve into the U.S. education system or explain why the conflict continues to receive scant attention in elementary and high school classrooms. These omissions do not undermine the overall value of this work. The book still provides an important explanation of how two societies developed very different memories of a shared conflict. Although other readers will have differing ideas on what should have been added or left out, they will at least come away with an understanding of how the elephant entered the room and even gain some insight about where it might go from here. 1. Lester Langley, Mexamerica: Two Countries, One Future (New York: Crown Publishers, 1988), 281. 2. Jeffrey Davidow, The Bear and the Porcupine: The U.S. and Mexico (Princeton, N.J.: Markus Wiener Publishing, 2007), 14. Douglas Murphy is Chief of Operations at Palo Alto Battlefield National Historical Park. He received his Ph.D. from the University of North Carolina at Chapel Hill. His publications on the U.S.-Mexican War include “The March to Monterrey (Tennessee) and the View From Chapultepec (Wisconsin), The Mexican War and U.S. Town Names,” Military History of the West, Fall 2010, and “Dogs of Destiny, Hounds From Hell, American Soldiers and Canines in the Mexican War,” Military History of the West, Spring 1996. His book War Comes to the Rio Grande: The Opening Campaign of the Mexican War will be published by Texas A&M University Press in 2014. “Peace, commerce, and honest friendship with all nations, entangling alliances with none.” Thomas Jefferson, First Inaugural Address. George Orwell once wrote that if “thought corrupts language, language can also corrupt thought.” He derided his contemporaries for how their use and abuse of the term fascism emptied the word of any meaning. The subsequent inability to define fascism degraded it “to the level of a swearword,” and a slur for use against anyone or anything deemed undesirable. The specter of renewed intervention in the Middle East (attacking Syria) may have passed, but the slur remains. Neoconservative intellectuals, obsessed with American military might, have stamped non-interventionists and the war weary public alike as isolationists. But in the history of American foreign affairs, isolation has never meant a lonely existence. Instead, it implied security. The “splendid isolation” phrase mocked by Krauthammer comes from late Nineteenth Century British statesman who viewed Britain’s interests as distinct from continental Europe’s. The English Channel separated British security concerns from the continent’s power politics and wars. This geographic isolation helped demarcate differences between colonial security interests, which Britain routinely acted on, and homeland security. Something similar was true for the United States. German Chancellor Otto von Bismarck put the matter well: “The Americans are truly a lucky people. They are bordered to the north and south by weak neighbors and to the east and west by fish.” The Founding Fathers agreed. Such counsel contained a powerful strain of realism. Strict neutrality was the infant nation’s best hope for survival amid international turmoil. The global nature of the French Revolutionary and Napoleonic Wars threatened to ensnare and destroy the republic with one misstep or ill-fated alliance. President James Madison nearly did just that in the War of 1812 when British forces burned Washington D.C. In the republic’s harrowing early years, one should note the impossibility of isolation or having no foreign contact. The world war meant the U.S. needed diplomatic relations and readiness for conflict. Sometimes the two overlapped, such as when hostilities began in 1812 over the repeated impressment of American sailors into the Royal Navy. But, the key for the Founders was to comprehend foreign threats and respond appropriately. Prescribed aloofness from European power politics never concerned diplomacy or trade. The Founders encouraged the latter, while the former became easier after Napoleon’s fall in 1815. Indeed, diplomacy was critical to bolstering U.S. security. 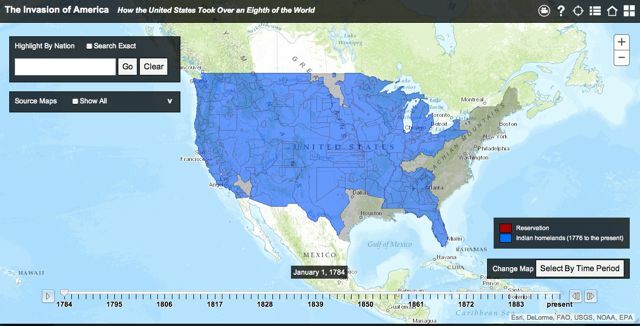 The Louisiana Purchase of 1803 did more than add land. It reduced the presence of France, and then Spain, in North America and secured American control of the Mississippi River. The Adams-Onís Treaty of 1819 built off of Jefferson’s work. 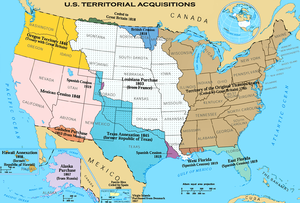 It exchanged vague boundary claims in present-day Texas for Spanish Florida, and consolidated American control of land east of the Mississippi River. Moreover, New Spain (Mexico and Central America) became independent soon thereafter. In 1823, President James Monroe warned European nations against re-colonizing Latin America. Such efforts would constitute a serious threat to U.S. security. Despite America’s inability to enforce the Monroe Doctrine, and whether by design or accident, Britain tacitly approved. Spanish re-conquest likely meant a reestablished mercantilist system. If the Royal Navy kept prospective colonizers out, those new markets would likely stay open. This overlap of British economic interests and American geopolitical interests benefited the United States immensely. As Europe settled into peace, foreign crises abated and the market revolution began. Over the succeeding years, U.S. economic growth exploded, the restraints of weakness fell away, and politicians’ desire to exercise power grew. From 1815 to the Civil War, Americans made plenty of mischief abroad. The U.S. declared one war (against Mexico 1846-1848), threatened another with Britain over border disputes regarding Canada out west (1845-1847), and issued ultimatums to Spain about freeing Cuba (the 1854 Ostend Manifesto). O’Sullivan did not mean territorial acquisition by force. Instead, the spread of free peoples and success of free institutions would exercise a gravitational pull. American energy and productivity would inexorably draw North America’s foreign territories into the Union. California, then part of Mexico, was a case in point. The solution was territorial acquisition. A trans-continental United States would, excluding British Canada, end European intrigue and mischief making in North America. If it came at the expense of others, then so be it. Such thinking was not confined to the younger generation. President Andrew Jackson said of Mexico’s breakaway Texas province in 1844: it was “the key to our safety” and would “lock the door against future danger.” Texas was duly annexed in February 1845, while the Oregon territory and California followed soon thereafter. But ultimately, America’s exaltation of freedom did not stop with continental conquest. It turned outward after Reconstruction and the beginning of the Industrial Revolution. While not inevitable, the transition from Jefferson’s “empire of liberty,” to an imperial power built off early expansionist impulses. As European nations carved up Africa, Americans watched a horror show closer to home. In February of 1895, Cuba’s Spanish masters brutally suppressed an insurrection. Mass arrests, concentration camps, and destruction of property continually wracked the island. Such carnage, inflamed by mass media, attracted renewed American interest in obtaining Cuba. However, the reasons for annexation had changed with the times. Early interest fit into O’Sullivan’s model of gravitational pull. As Monroe’s Secretary of State (1817-1825), John Quincy Adams labeled Puerto Rico and Cuba “natural appendages of the North American continent.” Once free, both could “gravitate only towards the North American Union.” His contemporaries and successors agreed: Madison tried to buy the island in 1810 and annexationists eagerly awaited its freedom in 1848 as revolution gripped Europe. Yet, Cuba stayed Spanish real estate. While Cuba burned, jingoists kept agitating for colonialism on newer, and more expansive, grounds. In April 1898, with war declared on Spain, freedom’s forceful expansion reached its supreme perversion in a speech by Senator Albert Beveridge of Indiana. “The progress of a mighty people and their free institutions” begun at the Nineteenth Century’s start was nearing its apex. “Fate has written our policy for us; the trade of the world must and shall be ours.” This quest for an empire of trade wrested Cuba, Puerto Rico, Guam, and the Philippines from Spain in three months. The turn from the past finished four years later in a faraway land. On July 4, 1902 President Theodore Roosevelt extended pardons to all those involved in the Filipino insurrection. This gesture came after roughly a million Filipinos died in a guerilla war against U.S. forces. Upwards of 75,000 American soldiers suppressed the rebellion, captured Aguinaldo (the rebellion’s leader), and solidified American control over the nation’s new Pacific trade post. All that remained was to “civilize and Christianize” the “little brown brothers.” While it might take a while, Governor-General William Howard Taft estimated “fifty or one hundred years,” the empire would endure. The neocons’ chest thumping about American power relies on alleged international benefits, open seas, outweighing the negatives of expense or quagmires. They seemingly do not consider, or care about, domestic consequences; centralized power, distorted perceptions of the military’s role in protecting society, and intellectuals playing social engineers. Some statesmen, in their humility, knew better. Eighty-one years before Roosevelt’s pivot to imperialism, John Quincy Adams channeled his father’s generation. On July 4, 1821, he issued as sublime a statement of U.S. foreign policy ever written. How prophetic. Yet, it seems the era of intervention that climaxed under President George W. Bush is at its end. Its foundational ideas are in retreat despite the bellowing of its loudest spokesmen. The next, and final, step for such bankrupt ideas and the isolationist slur is residence in the dustbin of history.